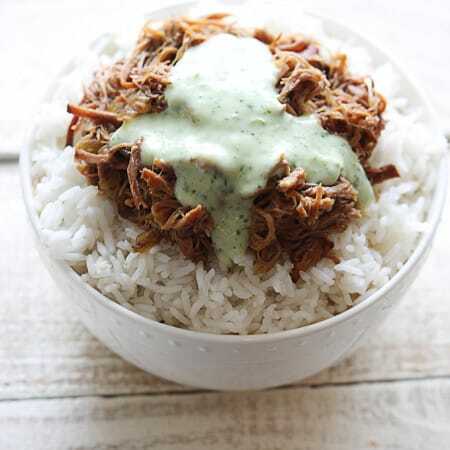 Sweet shredded pork made in the slow cooker, inspired by the popular Cafe Rio restaurant! Step 2: Add pork to slow cooker and discard marinade. Add coke, water, garlic salt, onion salt, and chili powder. Cover and cook on high 3 hours. Drain slow cooker and shred pork with two forks. Serving suggestions: over rice, in enchiladas, tacos, on a sandwich or in a wrap, in a salad, and anything else you can imagine!